Whether you’re looking at remodelling your bland old kitchen or need to furnish your brand new kitchen space, a lot of planning lies ahead. There are a multitude of aspects to consider, and this can feel absolutely overwhelming. Your best option is to break the planning process up into stages, in order to concentrate on each. In this way, the project will not seem as daunting. This will also allow you to give yourself enough time to assess all of your available options before making hasty decisions. 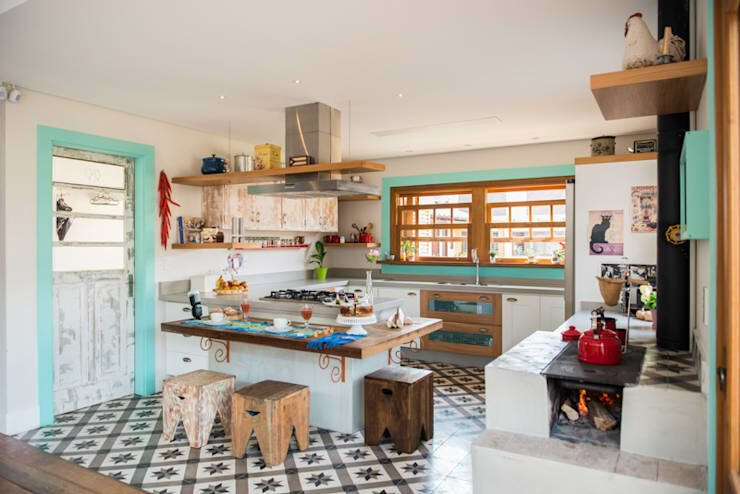 The crux of the matter is that if you do your research and spend a sufficient amount of energy on the planning process, anyone should be able to get exactly the kitchen they desire, a kitchen which is beautiful as well and functional. The very first step in the kitchen planning process is to do proper and in-depth research. You might already have an idea of what you want for your kitchen, or you may not have any idea at all. In either case, your first point of entry will be to do research. If you are thinking of recruiting a designer or kitchen planner, it will also be helpful to start by doing your own research first. Once you have seen many different designs and options, it is time for you to draw together all the inspiration you have found useful for your own kitchen design. This includes collecting pictures and colour swatches that you can present to the designer or use to guide your own plans. At this point in the process you do not yet have to decide upon the specific brands and models of appliances which you would like to have for your kitchen, but it will help a great deal if you can decide which types of appliances you would like your kitchen to possess. The majority of thought should be spent on the oven and fridge, as these two essential appliances will have the greatest influence on your kitchen’s design. When it comes to the oven, you might have to choose by the conventional under-bench oven, or maybe one on eye-level. Or maybe you would like to try a free-standing range. Whatever the case, it will influence your entire design, and you have to take it into consideration. Similarly, the fridge you choose will impact upon your entire kitchen design. You might only be able to afford a medium-sized fridge now, but would like to get a large, double-door in the future. So do not limit yourself too much. 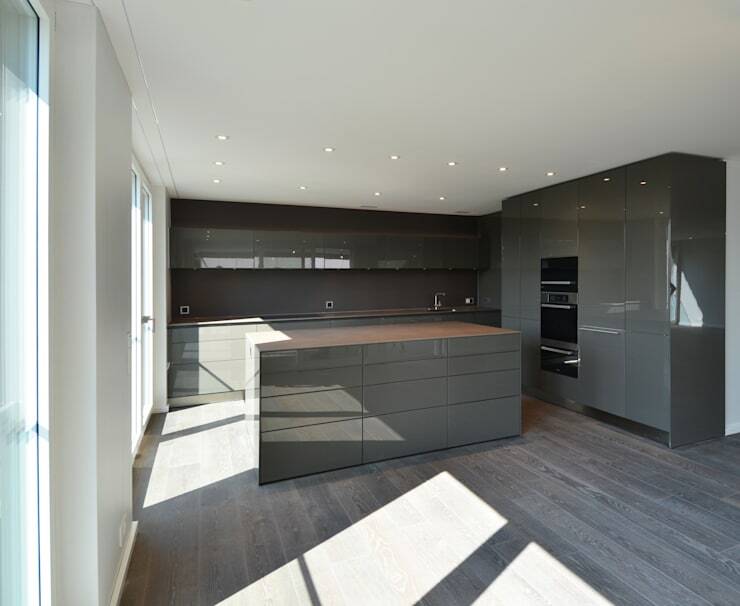 Regardless of the colours and appliances you want for your kitchen, the layout remains the most important consideration. After you have a floor plan down for your dream kitchen, you can coordinate getting everything together and installation. Schedule the installation of cabinets and permanent fixtures first. If you were planning on make any structural changes to the rooms and dimensions, this must be done before anything else. 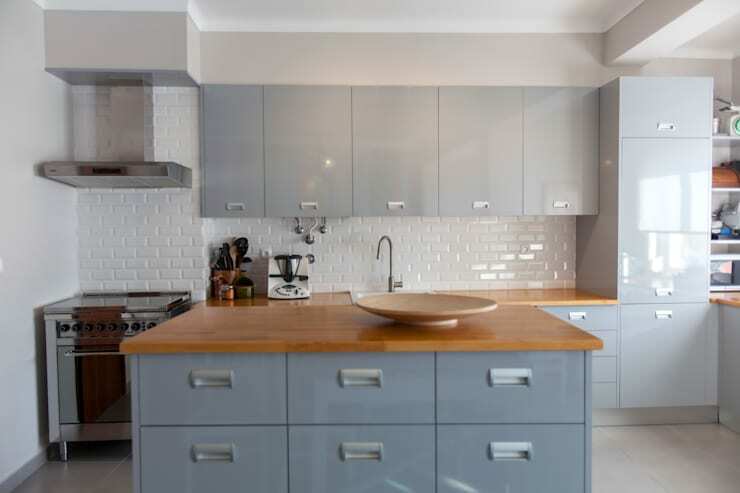 You wouldn’t want to furnish your kitchen to the tee and have to start all over again when you realise a particular wall should actually have been a few steps to the left. Only when this is completely finished, you can move onto the delivery of the bigger appliances. The material you choose for your kitchen floor will depend on a number of aspects. Firstly, you have to consider what the function of your kitchen is. 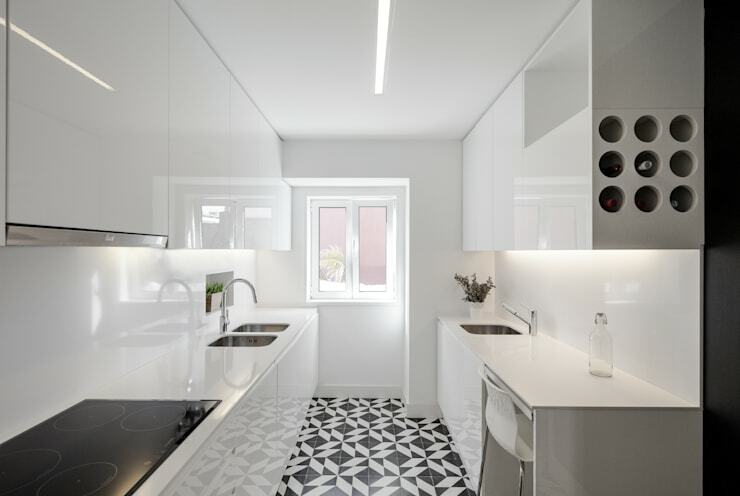 For a family who loves to cook and frequents the kitchen, a comfortable floor will be necessary to make standing for long periods more ergonomic. In such cases, laminate flooring will be a good choice. Classic kitchen tiles are also an all-time favourite, but may feel a bit too cold and sterile. Laminates are a bit warmer, and wood tiles are also a stylish option. Wood does have a higher maintenance and installation cost, though, so do consult your budget. 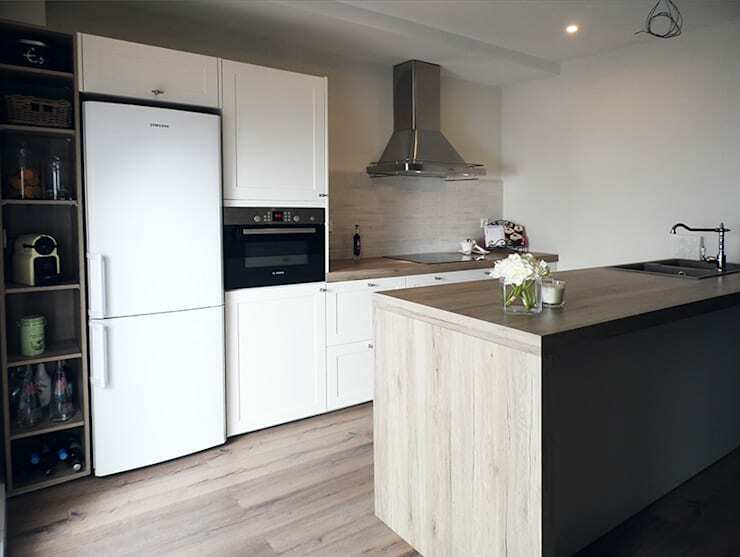 After you have your kitchen layout sorted and have made a final decision on your appliances, you will have to give some thought to the walls. This includes more than just the wall covering and colour, but also what kind of storage you’d want to use the wall space for. Cabinets are the traditional choice, but you might also want to consider shelving and vertical storage. This must be decided upon before you go ahead with painting or tiling. Although painting the walls is a popular contemporary choice, having a section of backsplash tiles about working counters is still a wise choice. Decide on a colour and pattern that suits your individual taste, but ensure that it suits your choice of appliances. 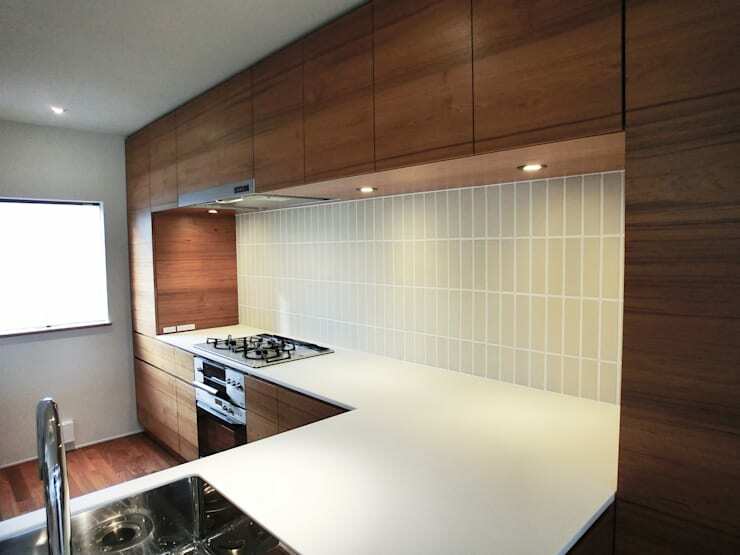 Lastly, you’ll have to look at how to furnish and decorate your dream kitchen. The first consideration is your counter tops. The counter tops should suit the layout, appliances, walls and floors that you have already decided upon. This should guide your choice of material and colours. If you need some help on choosing the right material for your kitchen counter tops, take a look at: Choosing The Best Material For Your New Modern Kitchen. After you decide upon the counters, a significant amount of time should be invested in thinking about the often-overlooked finishing touches, such as lighting and cabinet handles. Although appliances and counter top designs are fairly limited, these small furnishings and decorative items provide the opportunity to optimally individualise your kitchen. What part of the kitchen planning process are you most looking forward to? Share with us!